Home Games Fixes Shenmue 1 And 2 Audio Fixes | All Formats & Consoles Guide. Shenmue 1 And 2 Audio Fixes | All Formats & Consoles Guide. 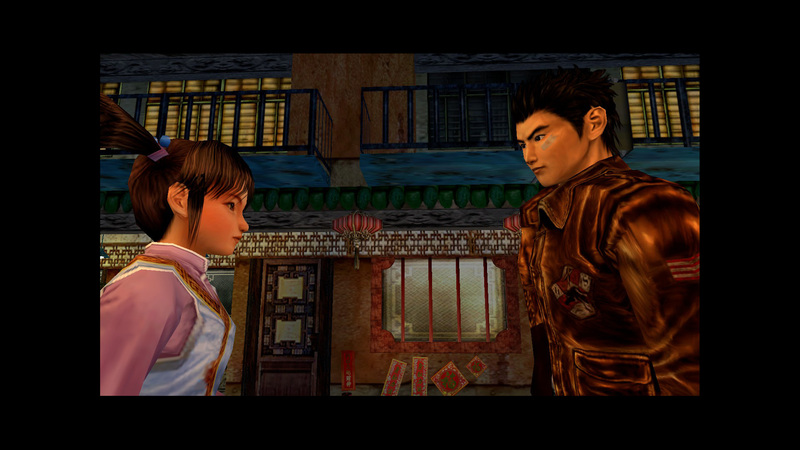 This Troubleshooting guide will help Fans of the Shenmue Series - Resolve any and all Shenmue 1 and 2 Audio Issues. If you have recently indulged in the brand new remastered versions of Shenmue 1 and 2 Available on XBox One, PlayStation 4 and PC. However you’ve encountered Shenmue 1 and 2 Audio issues? This troubleshooting guide will help! We’ve reached a point in Gaming in Modern Industry. A Point in which 4K Resolution and graphics are becoming more and more achievable. 4K Features a total resolution of 3840×2160. This is dramatically higher than the previous 1920x1080p. However all of this would be nought if our Audio was not up to scratch. Developers and Coding teams work real hard to bring gamers the very best audio and immersive experience. This guide has been created to help solve and fix any and all issues you may have with Shenmue 1 and 2 – whatever the platform or console. Shenmue 1 and 2 D3T Information. 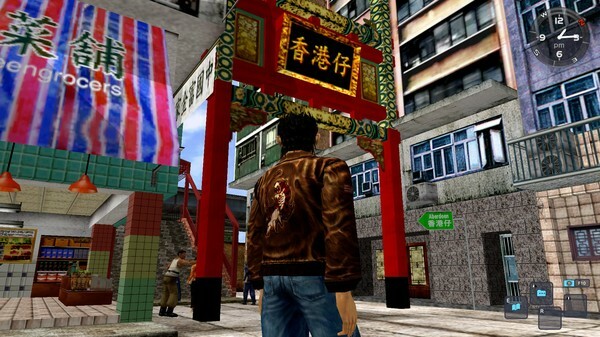 D3T have been working on the official revival of Shenmue series originally developed and published by Sega. Shenmue 3 is also currently in Development and will be released on similar platforms. We have yet to have any issue with Shenmue 1 and 2. However if you do encounter any issues be sure to contact D3T and inform them of the fault. It’s imperative that when you report the fault to D3T that you are as detailed as possible to when the fault occurs and in what manner. You can also stay tuned to any D3T updates released on their social hubs by following them on Facebook and Twitter. If you’re having issues with zero sound or music being played on your PC. It is likely either a software issue or an incorrect setting being applied. Or a fault between your Gaming PC and your Headphones or Speakers. 1: Ensure that your Default Device is Set. Sometimes Windows 10 can change your Default Audio Device. The Default Audio Device on your PC represents which piece of equipment your Audio out will be played on. This can include speakers, TV’s, Audible Monitors, Headphones, Headsets and Mixers. So if you’re choice of speaker or output device is correctly installed it will be displayed within the Sound Options on Windows 10. If this has been completed and you’re still not hearing any sound for Shenmue 1 and 2 then it may indicate that your Output device is faulty. Fix : Source a Repair or Replacement For your Headphones. The Good news is if you purchased your Headphones or Speakers from a Retailer then it will be covered by a warranty. This makes you eligible for either a repair or replacement. Get Digging for that proof of purchase! 2: Ensure the Correct Audio Drivers are installed. This is only really applicable if you’re using an internal or external sound card. If you have installed a sound card to provide more features for audio settings. It’s important that you download the correct Drivers. You will be able to source the drivers from the support page of your Sound Card Brand. Fix : Download the Latest Audio Drivers for your PC or Laptop. If you have not installed a Sound Card then the Latest Windows 10 Update and Motherboard Updates will feature sound drivers which are more than capable of playing Shenmue 1 and 2 Audio. Audio Stuttering and Skipping Segments. Audio is pretty black and white when it comes to working correctly. It either works perfectly fine or not at all. Continuous Audio Skipping or audio cuts are more likely a side effect of hardware issues. If you have experienced Shenmue 1 and 2 or any other games skipping or cutting out audio during gameplay on your PC. Then be sure to try the following Troubleshooting tips that may reveal the fault. 1: Ensure your Running the Latest Shenmue 1 and 2 Update. More Often than Not Audio Glitches are usually resolved by downloading patches or updates provided by D3T. So it’s important to ensure that you stay up to date. Fix : Download the Latest Shenmue 1 and 2 Update. Updates like this are the reason you should reach out to D3T to inform them of any more audio issues or faults. If you’re running the latest update then move onto the next step. 2: Games Dropping frames causes Audio to Stutter. A very common occurrence is Games Dropping Frame Rates on Gaming Rigs or PC’s. When Frames are dropped this will distort the gameplay and sometimes along with that the audio. This then presents the gamer with a series of audio effects which involve breaking, cutting or complete audio drops. This is clearly not intentional and requires to be resolved. Fix : Improve your Shenmue 1 and 2 Frame Rate Today. We’ve created a comprehensive guide which will allow you to bolster your frame rate and gaming performance on your Gaming PC or Laptop. This will relate to all games and not just Shenmue 1 and 2. Another thing you can do to amp up your Frame Rates is to ensure that your Hardware Specifications meet the requirements of Shenmue 1 and 2. Guide : Ensure your Gaming Rig or Laptop is Compatible with Shenmue 1 and 2. If your gaming rig is suffering to provide for the requirements this will result in frame drops. 3: Is Lag Causing Your Audio Stutter. Similar to Frame Rates High Ping and Lag Spikes during Gameplay can cause any games like Shenmue 1 and 2 to stutter. The reason behind this is due to the connection to the server being lost. You’re playing catch up to match your server state with your fellow gamers. This may cause an influx of sound effects and distortion. Sometimes people overlook their internet connection being a key issue when it comes to audio issues. So it’s important that you ensure your Connection is stable and strong. Fix : Test your Internet Connection to Resolve Audio Lag. This guide will help you test your internet connection and recover certain details regarding Download Speed. Upload Speed and Ping. If none of the above steps have helped resolve your issue then move on. While you’re waiting for feedback from the D3T there are some things you can check to help troubleshoot the issue you’re having. After successfully trying the following common fixes it may help identify what is causing your Audio fault with Shenmue 1 and 2. 1: Microsoft’s Support Guide – XBox One. Microsoft have a strong Fix Guide detailing ways to resolving any Audio issues you may have with Shenmue 1 and 2. The XB1 guides are split into 4 categories. Check your TV and HDMI connections. Rebalance sound when you can hear only one visible app. Troubleshoot when game or app audio becomes inaudible during voice chat. Troubleshooting sound issues with an audio-video receiver. If these guides do not fix your issue then we’ve got some more fixes that you can try to help identify your Audio Fault. Alternatively to this you can Contact Microsoft Support to report a bug or fault. Be sure to reach out to them as their Customer team are very friendly. Audio Stuttering while Playing games on XBox One. If you find that your frames are dropping or your audio is cutting out during gameplay this may indicate an issue with the software. These same fixes may apply if you have encountered problems with Shenmue 1 and 2 Audio. Complete the following steps to help identify the bug and fix it. 1: Downloading the Latest Shenmue 1 and 2 Update May Fix Audio. Ensuring that you’re running the latest update for Shenmue 1 and 2 may help you fix the problem. More often than not the developers will be working for a fix if the issue is known. This is why it’s important to reach out to D3T regarding the issue. 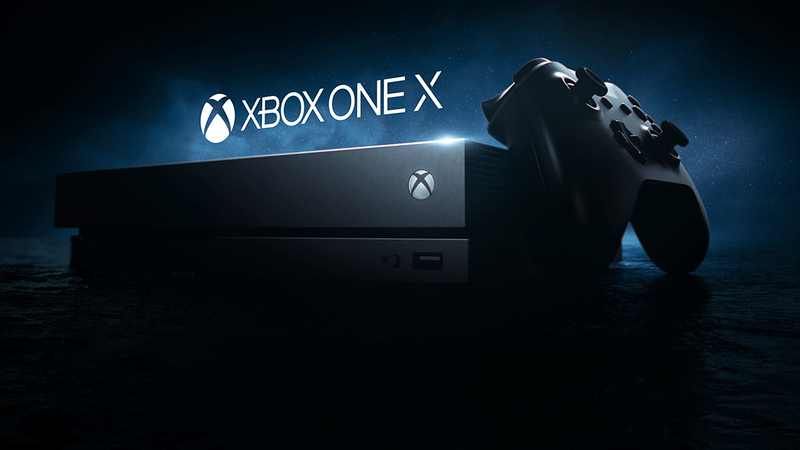 Ensure that you’re connected to the internet and that your XBox One has sufficient memory for the update download. If you’re having problems finding the latest update be sure to check our update guide. 2: Try Replacing your HDMI Cable to Identify the Fault. Changing your HDMI cable or connection cable may help resolve the issue. Sometimes cables can become damaged and faulty due to wear and tear. A simple Restart of the console maybe required after changing the HDMI Cable. If any Audio issues still present themselves during Shenmue 1 and 2 then next we need to look at your XBox One Console. Ensure the Internal Connectors on your HDMI port are clean and clear of any obstruction. Any kind of fluff or debris may cause an issue with the audio. 3: Damaged XBox One HDMI Connection? If you find that your HDMI connection is damaged on your XBox One then this will definitely create anomalies when playing Shenmue 1 and 2. Audio breaks and stuttering is a massive downer on gameplay so resolving this fast is the best course of action. If you’re HDMI Ports are damaged then you should be able to seek a repair or replacement via your Manufacturers warranty. Fix : Repair or Replace your XBox One Today. If you’ve purchased your console brand new or second hand from a retailer you will be eligible to get a repair for your console at least. Be sure to check our full guide regarding repairing your XBox One Audio and more. 4: Refresh and Restarting your XBox One Console. Often overlooked it may be necessary to restart your XBox One console to fix any audio issues that you maybe having with Shenmue 1 and 2. The current generations of consoles are designed to run idle for some time. However a fresh restart has it’s benefits. Microsoft : How to Power Cycle Your Console. Microsoft have also released a guide regarding how to “Power Cycle” your XBox One. Sony have featured a robust Audio guide when it comes to outputting audio from your Console. You can read the full guide above. It may deliver some insight in how to correctly output your Audio for Shenmue 1 and 2 from your PlayStation Console. Alternative to this you can simply reach out to Sony. PS4 Audio Stuttering While Playing. If you find that your frames are dropping or your audio is cutting out during game play. This may indicate an issue with either your Console or Software. Complete the following steps to help identify the Audio bug and fix it. It’s imperative that you make sure your PlayStation 4 is running the latest Console Update and not just that. That you’re connected to the internet and your Game is running the latest update. Fix : The Latest Shenmue 1 and 2 Updates on PS4. Ensure that you have a stable internet connection and that your PlayStation Console has the required storage allocation for both downloads. If you’re struggling with this check the update guide above. Source a reliable Cable from Amazon or a Nearby Retailer. Ensure that if you’re intending for a 4K display then the Cable is strong enough. 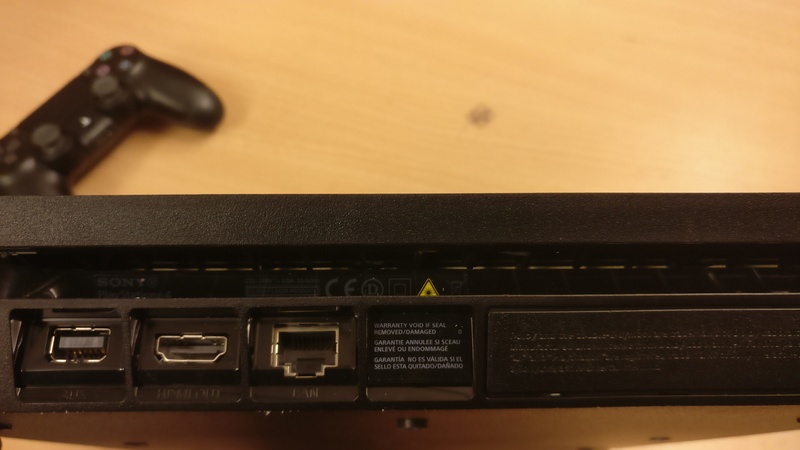 3: PlayStation 4 Damaged HDMI Port? Any discrepancies or anomalies within your audio cutting out maybe due to a poor connection from your PlayStation 4. 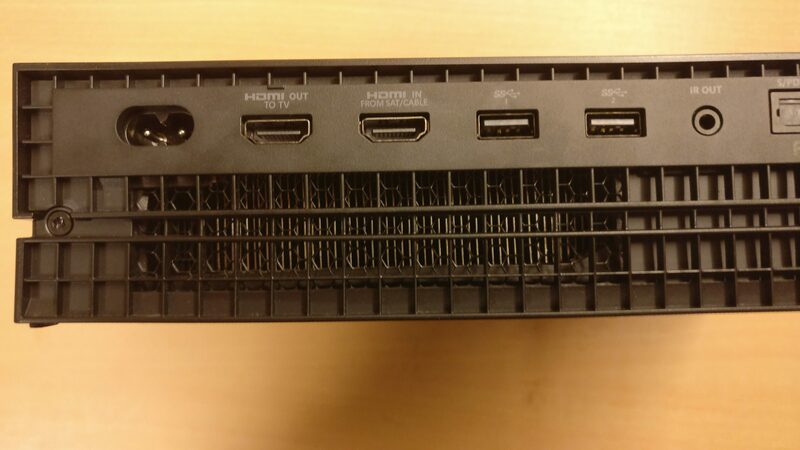 Be sure to check the rear HDMI Ports of your console and ensure none of the connections or data pins are bent or damaged. Fix : Source a Replacement for Your PlayStation 4. 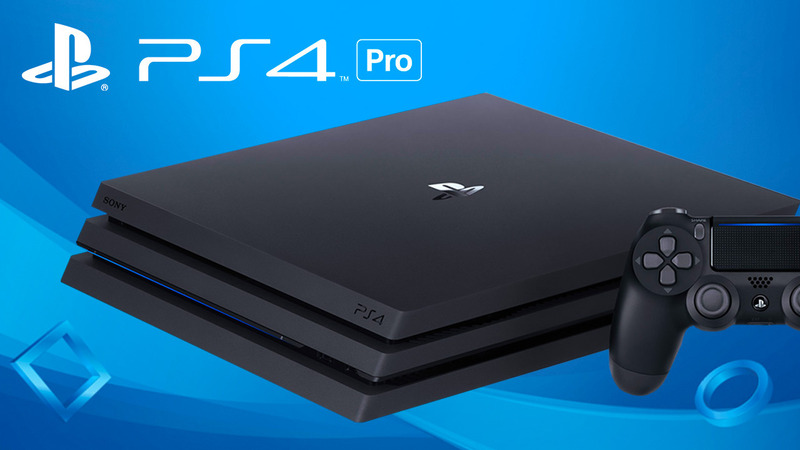 If you are dealing with a Damaged PlayStation 4 then at this time it may be ideal to seek a repair or replacement for your console from your warranty. 4: Re-Initialise From Playstation 4 Safe Mode. You can enter the Factory Settings by putting your PlayStation 4 in safe mode. These settings will allow you to completely reset and alter significant settings within your console. From this menu you can reset your display settings. If this fails to resolve your Shenmue 1 and 2 Audio issue. Then you can always try to re-initialise your console. Be warned this will wipe your Hard Drive and should only be attempted as a last resort. Fix : Factory Reset PlayStation 4. Follow the above guide for safe guidelines in factory resetting your PlayStation 4 Console. We will continue to provide our readers with any user submitted audio fixes for Shenmue 1 and 2. We have yet to encounter any serious issues. However if you do – be sure to reach out to D3T to inform them of the issue. Audio is like Black Magic. Sometimes it Works perfectly. But then for some reason – outta no where. Nothing. It’s frustrating however with a bit of trial and error with the above fixes you may be able to solve it.